Ireland have announced the schedule for their November Test series, with a Sunday fixture against New Zealand capping a three-game period. Samoa’s visit to the home of Irish rugby will be their first since 2010 – the Ireland versus Samoa Test will kick-off at 17:45 local under floodlights. The Samoans have risen to seventh in the IRB World Rankings and given their victory over Six Nations champions Wales last November, it promises to be an exciting start to the Series. Australia will be the next visitors to Dublin, fresh from their mid-year clashes with the British and Irish Lions, with that game also starting at 17:45. This will be the first time the Wallabies have played Ireland since their 2011 World Cup clash, which resulted in a 15-9 victory for Ireland. 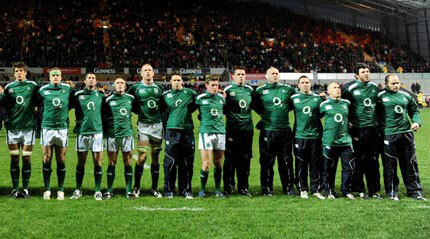 World champions New Zealand will complete Ireland’s line-up of international matches during November with a Sunday kick-off at 14:00 local, ensuring an enthralling Series from start to finish.